Kit includes fabric to make table runner top and binding. 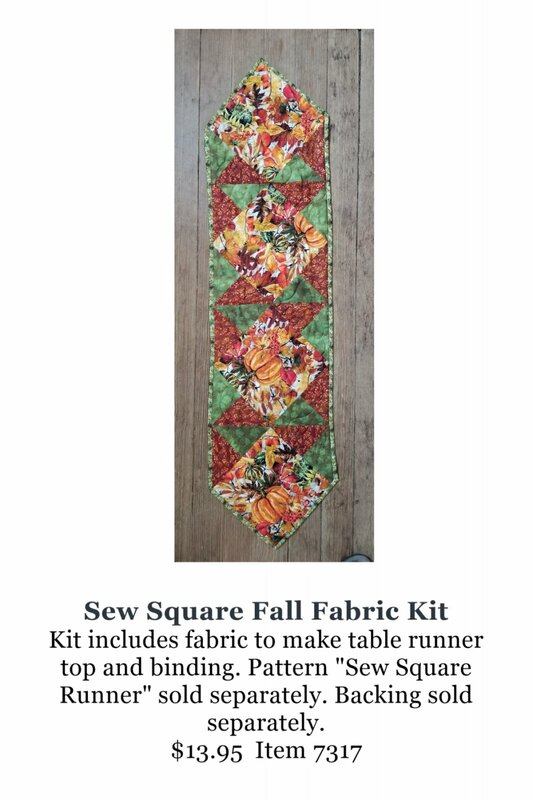 Pattern "Sew Square Runner" sold separately on this website. Backing sold separately.